I think Christmas is almost a “device” in this movie. It isn’t a “Christmas” movie, although Christmas certainly helps. Rethink it as MacMurry taking Stanwyck home for the Fourth of July parade and picnic. I think it almost works, although there is nothing like the atmosphere that Christmas conjures up. Lee Leander: Now there’s nothing as dangerous as a square shooter. If all men were like you, there wouldn’t be any nice girls left. 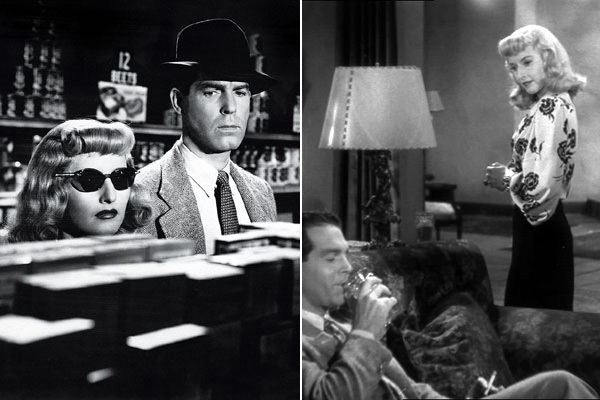 On the night before Christmas Eve, up-and-coming ADA John Sargeant (MacMurray), decides to bail out Lee Leander (Stanwyck), the thief (with tree strikes) whose case was postponed for the holidays. The bail bondsman takes her over to John’s apartment, much to his confusion/shock. John, being a decent guy (see above quote), decides to take Lee out for dinner. They run into the judge who presided over their trial- oops! John wonders how a normal person like her can turn to crime, and she tells him her way of thinking. They get to know each other a bit- turns out their both from small towns in Indiana. Every Christmas, John drives home for the holidays, and he offers to take Lea along with him. Lee’s tough gal façade fades, and she becomes very emotional. She doesn’t even know if her mother is alive, since she’s “never” been back home after coming to NYC. There are some funny/wacky scenes in small-town Pennsylvania, after they (unknowingly) trespass on a very angry/gun-toting farmer’s land. They end up at the justice of the peace’s office, but John is not very adept at lying, but Lee is an old hand. Lee creates a little fire in a small wastebasket, enabling them to get away. John is shocked, yet also impressed, by her quick thinking. When they reach Lee’s hometown, her mother (remarried) wants nothing to do with her. It’s a dark, well-done scene- not what you’d see in the cloying/unrealistic Hallmark holiday movies of recent times. While Lee tries to explain her side to her mother, John is quietly/calmly supportive. But when he asks Lea’s mother her name and she responds “The name doesn’t concern you.” His delivery of “It certainly does not” gives me the chills. It just says so much of his character. There’s a moment when John is playing the piano and his family is gathered around when Lee looks around her in wonder. 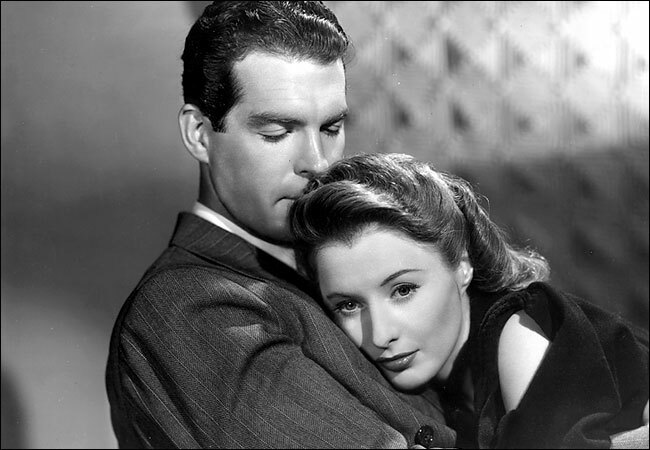 Barbara Stanwyck did a brilliantly subtle job of expressing the thought “What would it have been like to have grown up in a home like this?” in that brief moment. 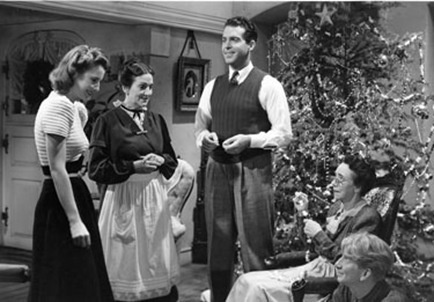 Jack’s family includes his level-headed mother Mrs. Sargeant (played by Beulah Bondi, Ma Bailey from It’s a Wonderful Life), doting Aunt Emma, and (comic relief) farm boy, Willy. They rush about getting everything perfect for John’s arrival. (John explained earlier that he grew up quite humble, but in the past few years, has been able to provide well for his family.) Lee is happily surprised by their lovely farmhouse and friendly demeanor. They gather about the piano (John plays some) and sing songs. Being the honest man, John admits to his mother that Lee is a thief with no family to go to, not his special lady. His mother is still sympathetic toward Lee. The next morning, they even give Lee a few presents! Over the next few days, Aunt Emma sees that Lee and John are falling in love. At the barn dance, she beams with happiness as she watches the couple dance and kiss. Mrs. Sargeant is worried, so she has a serious (yet gently worded) talk with Lee the night before they leave for NYC. She explains exactly how hard John worked to get to where he is at this point in his life. Lee says she’d never ruin his life, but admits that she’s in love with her son. On the way back, they take a road through Canada, and end up in Niagara Falls. They admit their love for each other. John tells Lee that she can get away now, if she wants. She refuses, because she wants to face up to her sentence. John feels guilty, since the jury was about to acquit her before the holiday recess. Back in the courtroom, Jack begins to treat Lee in such a harsh manner, garnering her sympathy from the jury. After a few questions, Lee realizes what he’s doing, and begs the judge to allow her to plead guilty. In the final scene, before Lee is taken away by the prison matron, John explains that her sentence probably won’t be too long. Lee’s ready to face anything (now that she’s loved).